The E-Sound studio has a fantastic collection of microphones, both modern and vintage, to leverage the most quality out of your performance. Here are a few highlights. 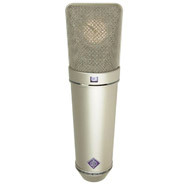 A classic mic that is good for nearly anything but especially widely loved for use with vocals. 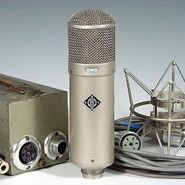 The U47 in the studio still consists of all original components and because of this it is perhaps the studio’s most prized and sought after piece of equipment. 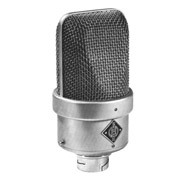 These condenser mics are widely regarded as a jack of all trades that sounds good on so many instruments that it is a must have in any studio. The studio has access to 4 U67’s and 5 U87’s that still consist of the same components as when they rolled out of the factory floor. 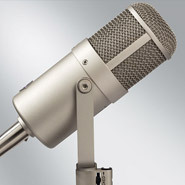 A fantastic mic that knows many purposes, yet is most often dubbed as the ‘classic front of kickdrum microphone’. The M49 gained a lot of popularity in studio’s int the 50’s and 60’s and gives unparalleled results when recording Brass and Drums. 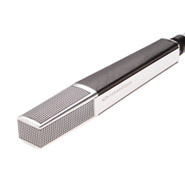 These dynamic mics are sometimes referred to as ‘beard trimmers’, this has nothing to with its characteristics however. MD421’s work great to capture a variety of instruments including (bass) guitar, vocals and toms (the latter unfortunately greatly reduces their average lifespan as drummers tend to smash them to bits from time to time). 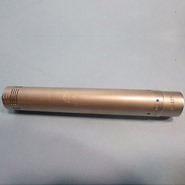 The RE-20 is actually designed as a broadcast announcer microphone but it quickly gained popularity in the music studio as well; often used for Kick Drum and Brass instruments. 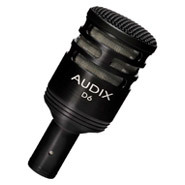 The Audix D6 is designed for a singular purpose: to record kick drum. Its frequency response is designed to emphasize both the sub and the click of the kick whilst reducing mid-range mudiness. 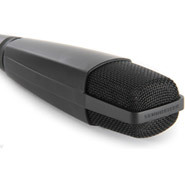 Many engineers rely strongly on this very specific mic to always safely record the kick drum. 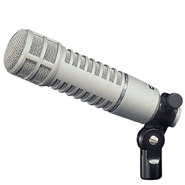 If you are feeling adventurous you can try mic’ing bass guitar with this mic, but don't expect any subtle results. 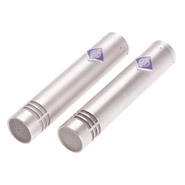 These small membrane condenser mics are widely regarded for their neutral high frequency response; hence they are classic choices when recording piano, strings and cymbals. Great for snare, great for hi-hat, great for acoustic guitar.